If you have pets, please arrange for them to stay in an area away from where the restoration project(s) will be taking place. Unfamiliar noises, people, and movement can stress your pet, while a pet roaming free can be distracting to our technicians. If you are going to be home on the day of your appointment, you will not be able to use the areas we are occupying. Please make arrangements to work around the closures. If you are NOT going to be home on the day of your appointment, please make sure that a key is available, and leave a contact phone number. 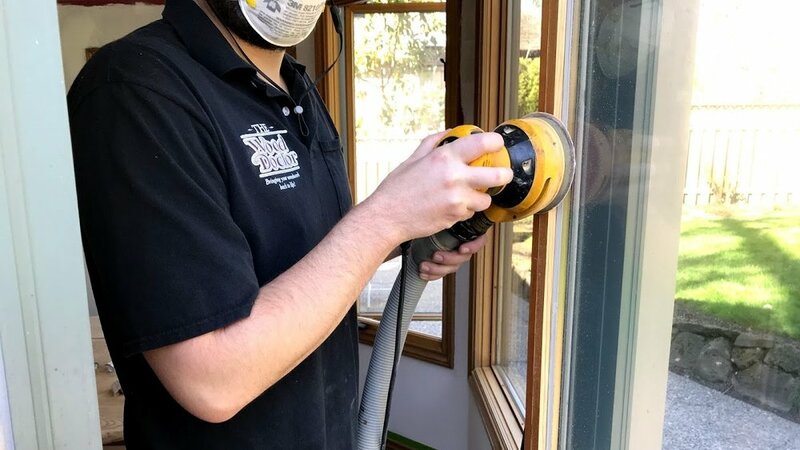 all curtains and blinds from the area to be restored Although your woodwork will be dry to the touch within a few hours, please allow a minimum of 24 hours “cure time” before using your kitchen or bathroom cabinets. Do not to use tape of any kind on your cabinets. Clean cabinets and woodwork with a sponge and mild dish detergent. Products that contain oils, such as Murphy’s Oil Soap, are not recommended, as they build up residue.